Randall Garrett is a true, classic science fiction, master - and after you read Respectfully Mine [Leland Hale, Galactic Conman #2] you'll see why! Hugo Finalist and Sidewise Award winner faces his most endearing character, future conman Leland Hale with his most daunting challenge. Hale may be the cleverest crook in the galaxy, but can even he crack a closely guarded time capsule? From the creator of Lord Darcy comes another short novel from the glory days of the pulps featuring Randall Garrett's rarest and never-reprinted series character. But beware, Leland Hale will steal your heart - and all your money! Hale thinks the universe owes him a living, and he is collecting on the installment plan. Fraud, larceny and murder are all in the day's work for this master interstellar confidence man. The backwater planet Apfahl doesn't know what is about to descend on them. Mothers lock up your daughters, and fathers lock up your money. Leland Hale is in town. Reprinted from the 1950s pulp, Infinity. Here is a truly great blast from the past! 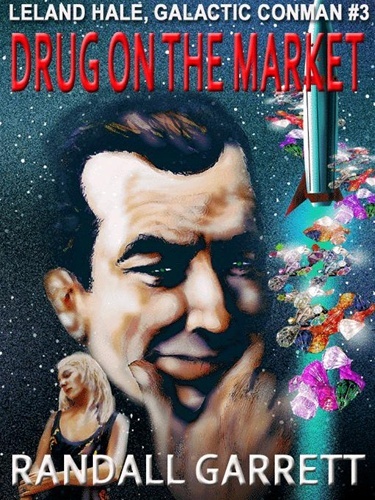 Read Drug On The Market [Leland Hale, Galactic Conman #3] by Randall Garrett and you'll see why Garrett is considered to be a true classic science fiction master!